Summer is wedding season for so many of us. Maybe you got married this summer (mazel tov!) or were simply a guest at anywhere from one to thirteen weddings (that’s the summer wedding attendance record over here at HQ). Whether yours was a starring or supporting role, you likely invested in a new suit or revived an old favorite for the occasion. If you bought a new one, it feels like such a shame to wear it only once, doesn’t it? And there’s certainly no reason to put that favorite suit back in your closet, waiting for it’s annual day in the sun. 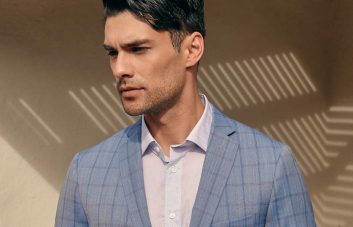 To keep your wedding attire from collecting dust, we’ve rounded up some ways you can break out of the “wedding suit” mentality and incorporate some or all of its pieces into new outfits perfect for the coming fall. If you purchased a suit for a wedding, chances are it came with a vest. 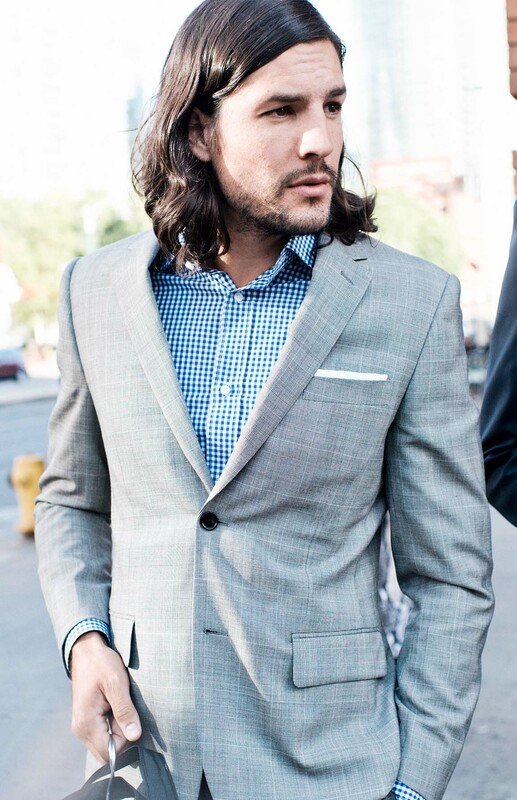 A great way to get more wear from your suit is to leave the vest at home and wear the pants and jacket to work. This will take the formality down a notch, making it perfect for the office. You can also lighten up your look with an accessory like a pocket square or a fun tie clip, or go tie-less for a look that is laid-back but still professional. To incorporate a vest into your everyday look, throw it on top of a casual outfit to tie everything together. We suggest wearing it with a basic tee, slightly-cropped black pants and leather brogues for an easy weekend look. No one will ever know that the last time you wore the vest was at a wedding. Another way to get more mileage out of a wedding suit is to showcase different pieces of the suit, one at a time. 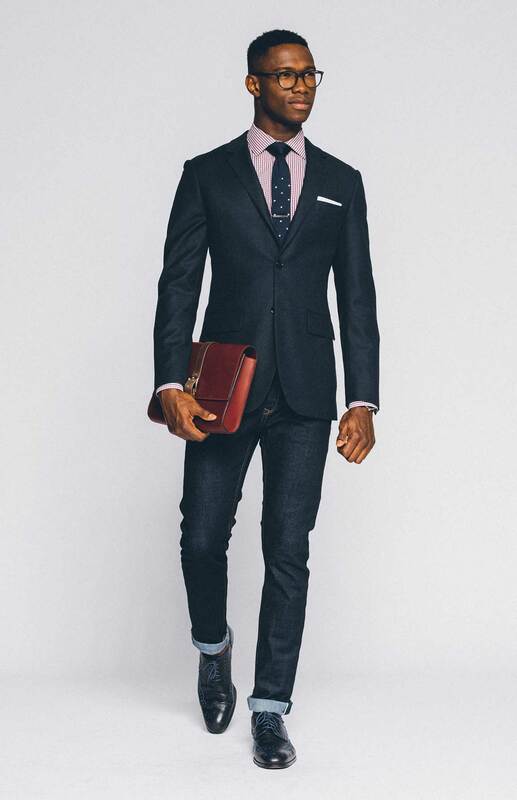 Pairing the suit jacket with dark jeans, a graphic tee and white sneakers is a casual look that highlights the blazer. 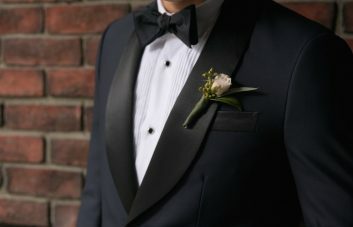 Just make sure to leave the boutonnière at home. 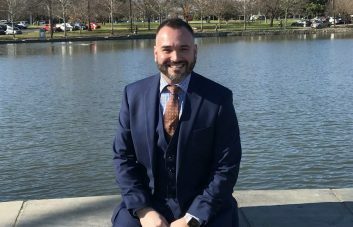 Finally, as you might have guessed, you can take the pants from the suit and wear them a number of ways because they’re such a versatile clothing item. You can easily pair them with a crisp white button-up and dress shoes, or maybe you want to go a bit more casual with a sharp polo shirt and boat shoes. Both are great ways to breathe some fresh air into your wardrobe and keep that wedding suit in the mix. No you have no excuses to leave that wedding suit hanging out in the back of your closet. Take it out and break it up—we know you’ll make it look great.